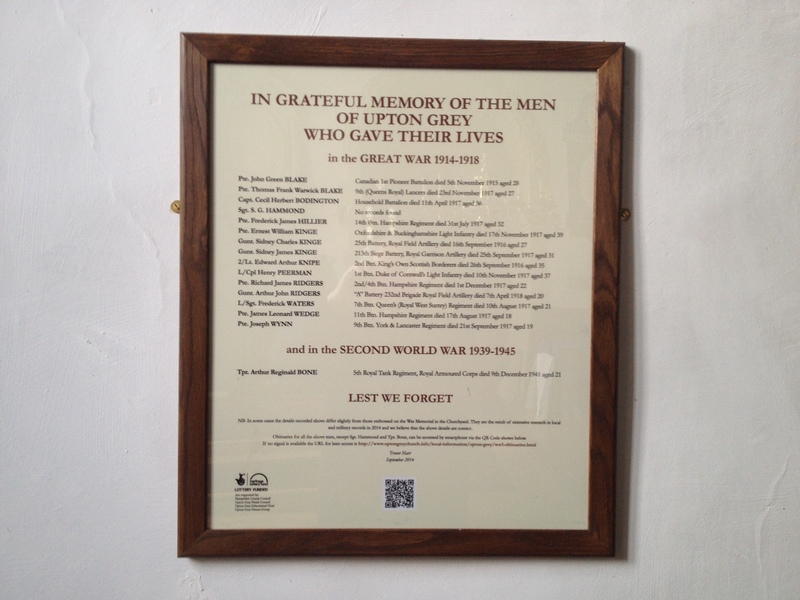 Trevor Hart has researched the lives and military experience of all the men of Upton Grey who were killed in the Great War and are commemorated on the war memorial in the churchyard and has written the following obituaries. This research is supported by the Heritage Lottery Fund, Hampshire County Council, the Parish Council, the Educational Trust and the Drama Group. John Green Blake was born in 1887 in Buckland Brewer, Devon to George and Martha Blake. George was a farmer originally from Mapledurwell and the family had moved to Upton Grey before their second son Warwick was born two years later. Martha died in childbirth expecting a third child. George was later to meet Lucy Church, the landlady of the Hoddington Arms, and they were married in 1897. John was generally known as Jack and his brother as Warwick. 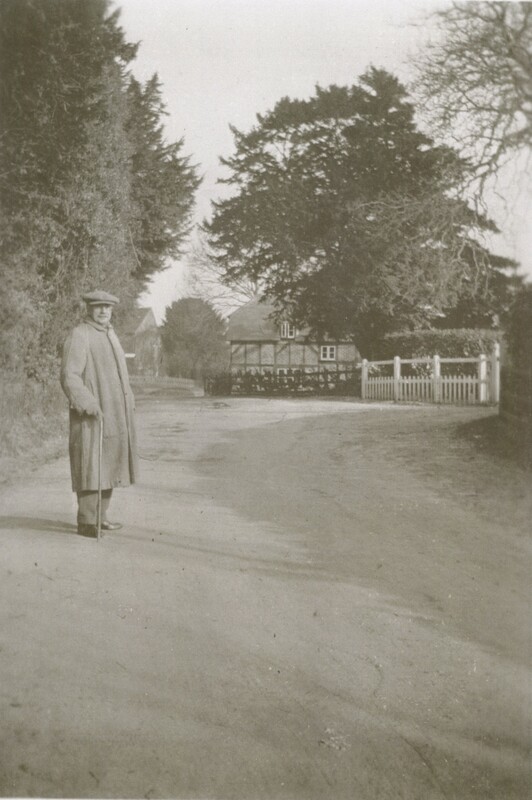 George bought Bidden Grange farm in 1900 but the family were still living at the Hoddington Arms in 1901. Both boys worked on the farm for a while but on 30th April 1910, at the age of 22, John sailed on the White Star Line ship “Laurentic”, bound for Quebec and Montreal, where he settled and took Canadian nationality. Like many “English” Canadians he enlisted in the early part of the war and was drafted into the 1st Battalion of the Canadian Pioneers. We don’t know where he settled, but once he had enlisted he was most likely training in the large military establishment near Winnipeg. The first Pioneer Battalion did not leave Canada until 20th November 1915, which was too late for John Blake, as he died of a heart failure in Winnipeg Hospital on 5th November 1915 aged 28. Consequently, he was not eligible to receive any medals, but is commemorated on the memorial at Brookside Cemetery in Winnipeg. Thomas Frank Warwick Blake was born early in1890 in Mapledurwell to George and Martha Blake. George was a gardener from Mapledurwell, who married Martha Green at Buckler’s Marston in Warwickshire in January 1884. After their marriage they moved to Buckland Brewer in Devon where their first son John Green Blake was born. George was soon to return to Mapledurwell with his wife and son where he took on the tenancy of the Queen’s Head (now the Gamekeepers). Martha died in childbirth expecting a third child. In due course George met and married Lucy Church, the landlady of the Hoddington Arms, where they combined running the pub until George bought Bidden Grange farm in 1900. Both boys helped in the pub and then worked on the farm for a while, until John emigrated to Canada in 1910 and Warwick enlisted in The Ninth Queen’s Royal Lancers and is found by the 1911 census at Lydd Camp on Romney Marsh with the Regiment. He was soon amongst the action and on 7 September 1914 at Moncel the Ninth Lancers were successful in the last lance-on-lance charge of the First World War. After that they fought on foot, in the trenches in numerous battles including Mons, Marne, Aisne, Messines, Ypres and the Somme. It was in November 1917 that the Ninth were preparing for the first battle of the new mechanised era, which was to involve a sudden, surprise attack led by a mass of tanks south of Cambrai on 20th November. The plan was that once the tanks and infantry had broken through the German line, the cavalry would surround and isolate the city of Cambrai. Orders to move forward were received on the evening of 19th November and the regiment moved forward just after midnight. Orders to saddle up came at 8.30am but it was not until 11.00am that the regiment was able to move off. They were soon halted when news came that the Germans were still occupying Noyelles and a squadron was dispatched on foot to try to clear the way forward. They managed to clear the route to the centre of the village before withdrawing in the night to a more secure location. Two officers had been killed and twenty men wounded, one of whom was Pte. Blake. He died of wounds received on 23rd November 1917 and was awarded the Victory, British and 14 Star medals. He is commemorated at Rocquigny-Equancourt Road British Cemetery, Mannancourt south west of Cambrai. The limitations of horsed cavalry as an arm of exploitation in modern war were exposed more fully in the battle of Cambrai than elsewhere in the whole of the war. He was born at the Rectory at Suffield in Norfolk on the 20th of November 1880, the second of eight children of the Reverend Herbert James Bodington and Louisa Augusta (neé Mares-Cecil) Bodington and moved with his parents to The Vicarage, Upton Grey in 1898. On the 25th of July 1916 he married Lilian May Somerville of 9 Holland Park London. He was educated as a boarder at Charterhouse and King’s School Canterbury, where he gained Junior & Senior Scholarships and was appointed as a School Monitor in September 1897. He played First XV Rugby, Fives and First XI Cricket, being Captain for his last two years. After King’s he went to Peterhouse, Cambridge on an Open Classical Scholarship, where he represented the college and the university at cricket. He left university with a B.A. in 1902 and went to the Cape where he spent two years as tutor to the three children of the Maharaja Kapurthala. On his return he became an assistant schoolmaster at Elstree and Stanmore Park Preparatory Schools and continued playing cricket, but now for Hampshire and later the Household Brigade. He was commissioned as a 2nd Lieutenant in the Royal Horse Guards on the 10th of November 1914, joining their reserve. In September 1916 he was promoted directly to Captain and posted to the newly created Household Battalion, formed as an infantry battalion from a surplus of men who had joined the Household cavalry, where he was given command of Number 4 Company. The Battalion arrived in France on the 8th and 9th of November 1916. On the 9th of April 1917 the Battle of Arras began and on the 11th April the Household Battalion was ordered to attack in support of the 2nd Battalion Seaforth Highlanders at Roeux. The Seaforths advanced at noon and 10 minutes later the Household Battalion followed them with Number 4 Company on the left of the battalion. As they advanced from the Hyderabad Redoubt, Captain Bodington, then aged 36, was killed by machine gun fire and the two leading platoons of his company were “practically destroyed”. The attack faltered as the other companies suffered terrible casualties. Number 3 Company under Captain Pelly made some ground and he was ordered to consolidate this but otherwise the attack was a failure. Casualties were 3 officers and 36 other ranks killed with 1 officer and 124 other ranks wounded and 6 missing. He was awarded the Victory & British War Medals but his body was never found. He is commemorated on the Arras Memorial for the Missing, Bay 1. I have been unable to find any trace of, Sgt. S (or C) G Hammond, either in the records of soldiers killed in the 1st World War or in the records of village residents in the decade or so before war was declared on 4th August 1914. There has never been an individual with that surname in the parish registers; if the initials are reversed we can find a Sgt. 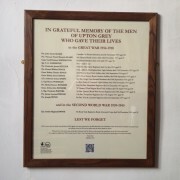 G S Hammond who served in the Rifle Brigade and was killed in 1916, but in the absence of any discernible connection with the village we cannot assume that he is the one commemorated on the memorial. Frederick James Hillier was born in Weston Patrick in October 1884, the second son of Frederick & Jane Hillier. His father was an agricultural labourer on Manor Farm. The family had moved to Bentworth by 1901, where father and son were carters on a farm. James, as he was known, married Esther Kinge on 30th October 1909 and moved to Brick Hill, South Warnborough, which is now in Upton Grey, where their son, also called Frederick James, was born on 6th February 1913. He enlisted in the Hampshire Regiment early in 1915 and was placed in the 14th (1st Service) Battalion with service no. 14900. He embarked for France with them on 26th May 1915, having given his address as Yew Tree Cottage, Upton Grey. 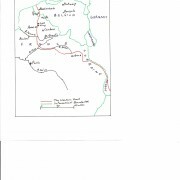 By July 1917 he was in the vicinity of Ypers when preparations were being made for the third major offensive on the Ypers Salient. They spent most of May and June out of the trenches, although the digging of support trenches attracted some enemy bombardment but resulted in few casualties. From June 21st to July 15th the Battalion was training at Houle near Watten, mainly rehearsing its projected attack over practice trenches. It then moved closer to the front, still training, until 29th July it moved up to Canal Bank to take up next evening its position for the attack. It was in second line, behind the 11th Royal Sussex Battalion. Zero hour was at 3.50a.m. on July 31st The Royal Sussex Battalion took the first objective, the ‘Blue Line’, without much difficulty and the 14th Hampshires then ‘leap-frogged’ them heading for the next objective, the ‘Black line’. Despite the difficulty of knocking out scattered pill-boxes, the 14th succeeded in taking the ‘Black Line’, then the ‘Black Dotted Line’ at Falkenhyn Redoubt, before pushing down the slope to Alberta to take the ‘Green Dotted Line’ on the east of Steenbeek. After fierce counter-attacks, the 14th consolidated the Division’s position on the ‘Black Dotted Line’, having taken 200 prisoners, 3 guns and 17 machine-guns for the loss of three 2nd Lieutenants, including 2/Lt. Hewitt who was awarded a posthumous V.C. Four other officers were wounded and 60 men were killed on 31st July, including Private Hillier at the age of 32. He is buried in the Ypers (Menin Gate) Memorial Cemetery and received the Victory, British & Star medals. It is unlikely that he knew that his four year old son had died just 10 days earlier. Ernest William Kinge was born 24 March 1879 at Upton Grey, the fourth child of William Kinge and Mary Holdaway. He worked as a gardener and in 1909 married Agnes Mary Hibberd from Tunworth. They lived at Beam Ends and had three children before he enlisted in November 1915, after which he was put on the Reserve where he continued in his occupation. Conscription was introduced in 1916 and as the army prepared for the summer offensive the reserve was mobilised. He was sent to the Gloucester Regt on 14 June 1916. Basic military training usually lasted 4 months then after a short period of leave he would have been sent to his new unit, with service no. 33068. This was 6th Battalion the Oxfordshire & Bucks Light Infantry. He landed in France on 29th September 1916 and then travelled to join his battalion which was in the Transloy Beaulencourt area near Bapaume. It is unlikely he will have taken part in the 7th October attack as fresh troops arriving in France normally underwent a period of a few weeks learning ‘trench warfare’. The weather in October was wet and the ground muddy. In that attack the battalion lost almost 300 men, so spent the rest of October training at various camps around Vignacout.In December they moved back to the trenches at Guillemont, where 140 men were admitted to Field Ambulance suffering from “trench foot”, among them Pte Kinge. There was no action after the 7th October 1916 until their return to the trenches on 10th December 1916, when he was treated for his ‘trench foot’. On 14 December, he was sent back to the Field Depot at Boulogne and on 26th December was sent home to England and transferred to the 3rd (Reserve Battalion) at Portsmouth, having spent just 89 days in France. However, his record shows he was suffering from Raynauds disease (a circulatory problem) and so became unfit for any further military service. He was discharged on 26 September 1917 and given the Silver War Badge No 252801 (this discouraged any public abuse for not being in uniform). His service in France qualified him for the British War Medal and the Victory Medal. His wife gave birth to their 4th child on 2nd August 1918 and in the Parish Register he is described as “disabled soldier”. In the Autumn of that year he was admitted to The Royal Hampshire County Hospital in Winchester suffering from pneumonia, from which he eventually died on 17th November 1918. Sidney Charles Kinge was born at Dean (in the valley north of Tile Barn), Upton Grey in 1889 and baptised in the church on 3rd November. He was the youngest of six children of Abraham, an agricultural labourer, and Alice Kinge. At the time of the 1891 census his siblings were Emily aged 13, Percy aged 11, Agnes aged 9, Margaret aged 6 and Walter aged 4. By 1911 the family was living next door to the Old Shop and Bakery in Church Street, then known as Church Hill, the address from which he enlisted. Sidney Kinge was single when he enlisted in the first month after war was declared and was placed in the Royal Field Artillery with Service No 11751. After basic infantry and then artillery training, he was posted in June 1916 to the 25th Battery in 35 Brigade, which was in the thick of it in France. An artillery battery was normally equipped with six 18-pounder guns or 4.5 inch howitzers and, as part of a Brigade, was the main front-line artillery formation of the British Army. A battery would be situated just behind the front line trenches and had about 200 soldiers commanded by a Major. The troops had been trained to fight as infantry but only a few of the 200 would normally be issued with rifles. Guns were moved by horses and a battery had as many drivers as it had gunners. The battle of the Somme stared at the beginning of July 1916 and within that overall action the 25th Battery took part in the battle of Albert, including the capture of Montauban, Mametz, Fricourt, Contalmaison and La Boisselle. In September 25th Battery was in the Longueval area, facing hostile artillery shelling with lethal and tear gas shells and hostile aircraft overhead. The attack on Ginchy, east of Albert, France, began on 3rd September and the town was finally taken on 9th September after a bombardment beginning at 7.00a.m. The following day the battery fired all night on Langer Lane and Ale Trench and then bombarded Ale Alley, Hop Alley and Beer Trench during the next day. On 13th September 25th Battery attempted to observe the effects of its fire from Brown Trench, but found it impossible due to hostile shelling, during which Sidney Kinge was severely wounded. He died of those wounds on 16th September 1916 and was awarded the Victory Medal, British War Medal and the 1914-15 Star and is buried at HEILLY STATION CEMETERY, MERICOURT-L’ABBE in the Department of the Somme in Picardie. United Kingdom IV. D. 10, some 25km NE of Amiens. Sidney James Kinge was born in a cottage in lower Church Street in Upton Grey in 1886. His father Charles was a labourer aged 31 in the 1891 census, who had also been born in the village. His mother Emily had been born in Tunworth and was then aged 28. The 1911 census shows Sidney, a domestic gardener aged 24, still living at home with his parents, sister Gertrude aged 14 and brother George aged 7. He married Mary E. Ricketts, who was a maid at Hoddington House in October 1914. He gave his address as The Butts, Upton Grey when he enlisted in June 1916, which was where his parents lived, as he and his wife were living-in at Hoddington House, which was the address of his wife when he was killed in action at the age of 31. His first cousin was Sidney Charles Kinge, who had died of wounds a year earlier. After basic training, he went to France with the 213th Siege Battery, Royal Garrison Artillery on 30th December 1916. The RGA was usually equipped with 6 and 9 inch howitzers, which were larger and had a higher trajectory than the field guns of the Royal Field Artillery. These weapons became the first to be hauled by motor tractors rather than horse power and some of the guns were so large that they could only be deployed on railway tracks. By September 1917, the Battery found itself in the third battle of Ypres, which had commenced on 31st July and was to end on 6th November with the capture of Passchendaele. After two weeks of firing relatively small numbers of shells at enemy positions, the battery moved to Poperinghe and from 17th September became fully involved daily in both laying down a barrage of fire and shelling specific map references where enemy troops were located. The battery commander, Major Hartcup, records the actions of the next week, in pencil, in meticulous detail. On a typical day he writes “Fired 228 rounds (103 on barrage and 125 on map references, with aerial observation on 18 rounds. )” For most of the week these were aimed at or around Zonnebeke church, where the enemy were concentrated, until 25th September when only 91 rounds were fired and the battery was heavily shelled. He records, most unusually, the name rank and service number of a sergeant and three gunners who were killed that day and also that 101360 Gunner Kinge, SJ died of wounds received. Gunner Sidney James Kinge was awarded the Victory and British medals and is buried in grave 11.E.2 in Birr Cross Roads Cemetery, a few miles east of Ypres. Edward Arthur Knipe was born in Kensington in the third quarter of 1881. In 1891 he was a pupil at a small private boarding school at 2 Crest Hill Road, Lewisham with eight other boys, one of whom was his 7 year old brother. His parents were Arthur aged 38 and Ethel aged 34 and they were living at 12 Addison Road, Chiswick in 1891. In 1881 Arthur and his wife are staying with his parents and he is described as a Tea Planter in India who no doubt was seldom in England. He obviously came from a fairly wealthy family as the grandparents had 6 live-in servants and lived in Elveston Place, Kensington. Edwards’s mother died late in 1898 aged just 41 when he was only 17. On 2nd April 1913 Edward married Winifred Mary Bodington, the son of the vicar of Upton Grey, in St. Mary’s Church and they had two daughters, Betty in 1914 and Barbara, who was born in Sherborne Cottage, in 1916. Edward Knipe served as a 2nd Lt. in the 5th Battalion of the King’s Royal Rifles in 1900 but retired in 1901 for business reasons. He joined the King’s Own Scottish Borderers in 1915 as a temporary Lieutenant in the 9th Service Battalion and was transferred to ‘A’ Company of the 2nd battalion in France in June 1916, just prior to the Battle of the Somme which started on 1st of July. They moved up to the front on 19th July and advanced towards High Wood. ‘A’ Company went over the top at 3.30a.m. and took their objective, suffering 127 casualties including three officers. At the end of July, near Longueval, their attack made little progress and they had 6 officers killed, 9 wounded and 244 other ranks wounded or missing. On 3rd September they attacked Falfemont farm and had the ‘honour’ of assaulting the fort, where “the men, led with superb gallantry by inexperienced officers, advanced in broad daylight to certain death consciously yet without flinching” the words of 2nd. Lt Little quoted in the battalion war diary. But the attacking force was almost wiped out, with 8 officers killed and 283 other ranks killed or missing. Edward Knipe emerged unscathed. The battalion was moved to Morval on 24th September and was ordered to attack the following day. This was successful and some 700 prisoners were taken. The battalion sustained 165 casualties – the war diary records this as “very light” – including 2 officers killed and 3 wounded, including 2nd Lt. Edward Knipe, who died of his wounds in 14/Corps Main Dressing Station the next day. He received the British and Victory Medals and is commemorated at Peronne Road Cemetery, Maricourt, Somme. Henry Peerman was born in Bagmore Lane, Herriard in 1880, the second son of Robert and Ann Peerman. In 1891 the family were living in Bramley Green and Robert was described as an agricultural carter; as his four children were born in different places it is clear that he moved quite frequently to where he could find employment. Henry’s sister Rose was married in Upton Grey in 1909 and Henry married Agnes Smith in Billericay in 1910. 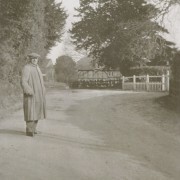 In 1911 Henry and Agnes are boarding in Hartley Wintney and he is working as a domestic gardener. Henry initially enlisted in the Hampshire Regiment with service number 30722, but was soon transferred to the 1st Battalion of the Duke of Cornwall’s Light Infantry, with service no. 260050. He saw action in 1917 at The Battle of Vimy, The Attack on La Coulotte, The Third Battle of the Scarpe, The Capture of Oppy Wood and The Battle of Polygon Wood, which was soon followed by the Battle of Broodseinde on 4th October, in which the battalion suffered heavy casualties. During the night they moved into their assembly positions hampered by a heavy gale. The terrain had endured three years of intense shell-fire which had reduced the once pleasant countryside to a vast wilderness of muddy water-filled shell holes. Both sides had been forced to build plank roads across the waist-deep mud, which was a danger to men and vehicles. They suffered 60 casualties whilst moving into position. The advance towards the enemy position started at 6.00 a.m. and was met by heavy machine-gun fire. Defensive “pill-boxes”, like small concrete forts, had to be overcome but eventually 200 prisoners and 15 machine guns were taken. From 7.30 a.m. the battalion endured 13 hours of savage bombardment, which killed or wounded most of the officers. After a few days respite the battalion was involved in the 2nd Battle of Passchendaele, which was bedevilled by the terrible wet weather. There were frequent barrages of shells and gas, but relatively few casualties and it is most likely that Henry Peerman, by then a Lance Corporal, received the wounds from which he died on 10th November 1917 in the larger Battle of Broodseinde. He was awarded the Victory and British Medals and is buried at Etaples Military Cemetery. Arthur John Ridgers was born in 1898 in South Warnborough. His parents, Richard and Christine, aged 30 & 31, were living in South Warnborough in the 1901 census and Richard senior was described as a wheelwright. His brother Richard James was born in 1895 and in the 1911 census we find Richard senior, now an Estate Carpenter, and Christine in Upton Grey with Arthur aged 13 and a four year old daughter Margaret. No service record has survived so we don’t know when he enlisted, but it was most likely in 1916 when conscription had been introduced and he had turned 18. His medal card bears no date of entry into a war zone, which was only necessary prior to 1916 with regard to eligibility for the 15 Star medal. He enlisted in the Royal Horse Artillery, which as the senior arm of the artillery, was usually armed with light, mobile guns that provided firepower in support of the cavalry and could be dismantled easily and quickly to enable them to be transported on horseback in pieces. Arthur Ridgers was a member of ‘A’ Battery, Royal Field Artillery in the 232nd Brigade which was moved to the vicinity of St Quentin Wood at the beginning of March 1918. The first week was relatively quiet and the battery was occupied with calibration and some night firing. Harassing night-time fire continued until the middle of the month with special concentration on valleys where enemy troops were thought to be gathering. Air reconnaissance photos suggested that the enemy was gathering for a major attack, probably in the Arras-St. Quentin area. After some special night firing in the St. Quentin area, the batteries were moved to positions behind the battle line in St Quentin Wood. At 4.20 on the 21st March the enemy commenced a heavy bombardment that continued until 10.00a.m, paused for half an hour and then recommenced. The batteries suffered heavy casualties with 9 officers and 50 other ranks killed, wounded or missing, and the batteries were moved further back from the front. Arthur Ridgers was one of the other ranks injured and it would seem that he was captured by the Germans and removed to Germany, where he contracted pleurisy and died on 7th April 1918 aged twenty and was buried at Niederzwehren Cemetery near Kassel, Germany. That cemetery was begun by the German forces in 1915 for the burial of captured Allied prisoners of war and Arthur’s final resting place is plot IX. row A. grave 7. He was awarded the Victory and British Medals. Richard James Ridgers was born in 1895 in Long Sutton. His parents, Richard and Christine, aged 30 & 31, were living in South Warnborough in the 1901 census and Richard senior was described as a wheelwright. His brother Anthony John was born in 1898 and in the 1911 census we find Richard senior, now an Estate Carpenter, and Christine in Upton Grey with Anthony and a four year old daughter Margaret. Richard James is not living at home on the night of the census and does not appear anywhere else in the census. He enlisted in the Hampshire Regiment very soon after the outbreak of war and was placed in the 1st/4th Battalion of the Territorial Force, which mobilised for war on 5th August 1914. Initially it was sent to India to replace British and Indian regular army units being moved to the Western Front. Within a few months they were transferred to the 33rd Indian Brigade and landed at Basra and served in Mesopotamia (now Iraq) and Persia. They were in action during the retreat from Baghdad to Kut-el-Amara in late 1915 and in the siege that ended on the 29th of April 1916, when the Battalion HQ and one Company were captured. In mid-November, now in the 2nd/4th battalion, he was involved in an advance to Biddu, but no further move could be made unless the dominating hill of Nebi Samwil, which was reckoned to be the key to Jerusalem, had been secured. The battalion went forward after dark and held the position despite shelling, which increased in intensity during the day followed by long counter-attacks. Initially these were repulsed, but the Turks came on in greater force and, although hard-pressed, the battalion kept the enemy at bay until reinforcements arrived to help drive the attackers back. Two officers had been killed and there were 24 men killed or missing. The battalion then went back into support, but was soon required in the line again, at Sheikh el Gharwahi. During the night of 30th November, early enemy patrols were repulsed and then in the early hours of 1st December the Turks suddenly attacked in strength, forcing the two companies from the battalion to hang on all day under heavy fire without food or water until relieved at nightfall. Thirteen men were wounded in that action and nine were killed, including Pte Ridgers who was aged 22. He is commemorated in Ramleh War Cemetery south east of Tel Aviv and was awarded the Victory, British and 15 Star Medals. 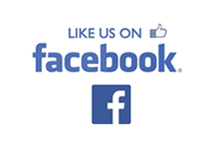 Frederick James Waters was born in Warnford, Hampshire in late 1895. His father William is 29 years of age and described as a carter on a farm living in Preston Candover in the 1901 census. His wife Fannie is 28 and they have three sons; William aged 6, Frederick aged five and Ernest aged two months. By 1911 the family have moved to Dean Cottages, Upton Grey and Frederick, aged 15, is a farm labourer. Frederick Waters answered the call of the Minister for War, Field Marshal Earl Kitchener of Khartoum for more volunteers made on 28th August 1914 and enlisted on 7th September 1914. He was placed in the 7th (Service) Battalion of The Queen’s (Royal West Surrey) Regiment, which was formed at Guildford and became part of Kitchener’s New Army (K2), in 55th Brigade. He moved with the brigade to Colchester in April 1915, then to Salisbury Plain in May, but it was not until 27th July 1915 that he, and his battalion, landed at Boulogne, moving on to Flesselles. The battalion was involved in numerous battles in 1916 including the Battle of the Somme, where they made four attacks, suffering high casualties; and in 1917 in the Battle of Arras in which the objective was to break through the German defences into the open ground. Whilst they made some advances they were unable to achieve a breakthrough and again suffered grievously. 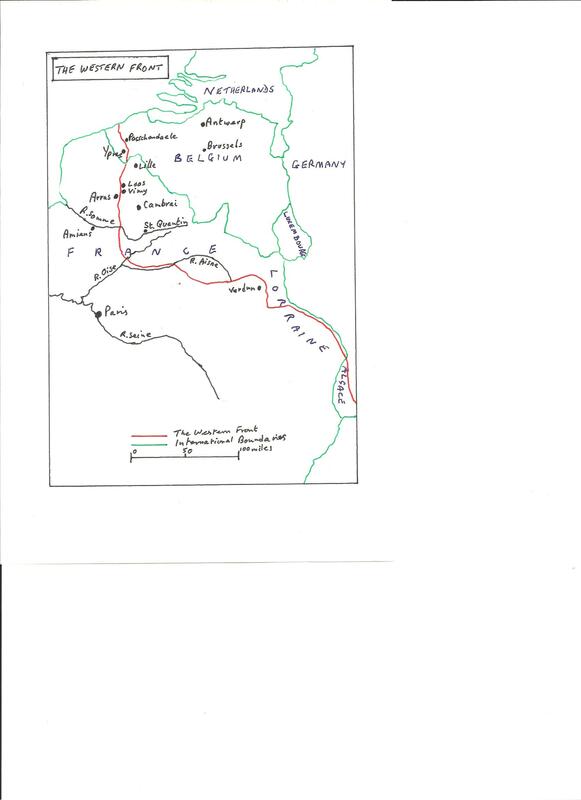 Then on 1st August 1917 the battalion moved into the Dickebusch area south west of Ypres, before moving up to Chateau Segard on the 4th August. Orders were received to attack on the 7th August and the battalion moved into the line to relieve the 7th Royal West Kents. At 9.30 p.m. there was a heavy enemy barrage for 30 minutes while the battalion’s advance was getting into position. The attack was then postponed until the 10th August when, at 4.35 a.m., the assault was launched accompanied by an excellent barrage. The ground over which they were advancing was difficult with numerous obstructions including loose wire and tree trunks. The enemy was very numerous in Inverness Copse and caused many casualties with rifle and machine gun fire. Ten of the battalion’s twelve officers were casualties in that action and amongst the 272 casualties in the other ranks was Private Frederick Waters. He was killed in action on 10th August 1917 and was awarded the Victory, British and 15 Star medals and posthumously promoted. He is commemorated at Ypres (Menin Gate) Memorial on Panel 11 – 13 & 14 as one of the 55,000 British & Commonwealth troops with no known grave. James Leonard Wedge was born in Portsea towards the end of 1899 and the 1901 census finds him with his parents James Wedge & Thirza Kate Emmence (aged 21) at 93 Havant Road, Portsmouth. His parents had married in Portsea Island in 1897 and he came to be known as Leonard, and by that name alone is he entered in the census, perhaps to avoid confusion with his father. By 1911 James Wedge senior was no longer with his wife, as the census finds her, then aged 31, living in Upton Grey in one half of Yew Tree Cottage and recently married to John George Goffe. With them are her two sons James Leonard Wedge (aged 12) and Harold William Wedge (aged 8), both described as the sons of their mother’s new husband. James Leonard enlisted in the 11th Battalion of the Hampshire Regiment when he was only 17 and he appears to have given his name as Leonard James. The 11th was a pioneer Battalion and in July 1917 it was busy road-making, building bridges, digging wells and working on light railways. Its labours were hindered by counter-bombardments, bad weather and a shortage of materials but their persistent hard work resulted in steady progress until 23rd July when battalion headquarters were moved from Poperinghe to Brandhoek Camp, where the 11th rested from its labours. After a week’s rest the battalion started work repairing roads, filling in shell craters while all the time enemy shelling persisted. The battalion moved to Ypres on 4th August to take over screening the Menin Road forward to a spot deservedly known as Hell-fire Corner. This meant more casualties, many from gas, and the men were sorely tried. On August 16th the 11th were detailed to construct tracks across No Man’s Land to the captured lines, until they were withdrawn on the 17th, during which Leonard Wedge was one of those killed in action. Although he was still only 17 years old his age is recorded as 18 where he is commemorated at the Menin Road South Military Cemetery. He received the Victory and British medals. Joseph Wynn was born in Swallowfield, the fifth son of James and Caroline Wynn. James had married Caroline Lambden in the autumn of 1884 but by the beginning of the 20th century the family have moved to Rotherwick, where Joseph’s father was described as a Working Foreman on the census. Joseph’s brothers William (13), Edward (11), James (8) and Francis (7) and his three sisters Ty Caroline (10), Annie (6) and Alice (4) completed the family still living with their parents. The oldest child, Harriet, aged 15 in 1901 was no longer at home. By the time of the 1911 census most of the older children had left home, which was then in Dean Cottages in Upton Grey, leaving just Alice and Joseph with their younger sister Laura Mabel, who was aged seven. The census form records that three of Joseph’s twelve siblings had not survived into their teens. Joseph, although only thirteen years old, is working as a Cow Boy on a farm and his father is now described as a Farm Labourer. Joseph was just 17 when war was declared at the end of July 1914. He enlisted in the 9th Battalion York & Lancaster Regiment, probably because that regiment was stationed at Bordon in Hampshire early in 1915. His Medal Card tells us that he first saw service in France, having landed at Boulogne on the 27th August 1915 when his battalion was mobilised for war. They were quickly engaged in various actions on the Western Front through 1916 and into 1917, including those of Messines, Menin Road, Polygon Wood and The First and Second Battles of Passchendaele, part of the third battle of Ypres. The battalion moved up closer to the front line on 15th September 1917, where half of the battalion was placed in tunnels. On the 18th they were moved back to a reserve position before moving back to the front on 20th September, the day the planned attack started at 5.40a.m., when most of the battalion was in tunnels, which gave some refuge from continuous enemy shelling. The night was spent digging and by morning the whole battalion had a continuous line of trench. Heavy shelling continued throughout the 21stSeptember, during which Pte. Wynn was one of the 22 other ranks killed in that action. He was awarded the Victory, British and 15 Star Medals and is buried in The Huts Cemetery south west of Ypres.